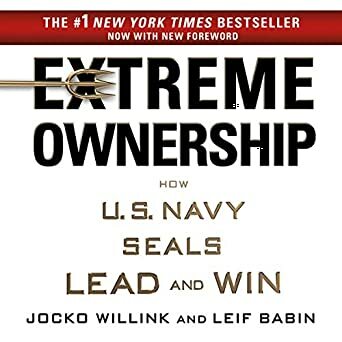 I admire Navy Seals and the book is very highly rated as a leadership book. Some of the best general principles to lead people and organizations to perform at a very high level. The authors take a situation that occurred in a battle situation in Iraq and use it to make a point about leadership or strategy. They then give you a real life situation in the business world where the same principles applied. They repeat this process for each of their major points. Very practical and useful. The book is great for anyone who is ready to adapt strategies and processes to perform better themselves or to lead other people or entire organizations to perform better.